Good morning and welcome to Sharing Saturday. All through September, we’re taking a peek at some stupendous science fiction authors. I have the fabulous luck to know each of these dedicated, hardworking individuals. Debbie De Louise appears today with her tale, Deadline. When college student Susan Shaffer wakes up on the wrong side of the bed in her dorm room, strange things begin to happen. 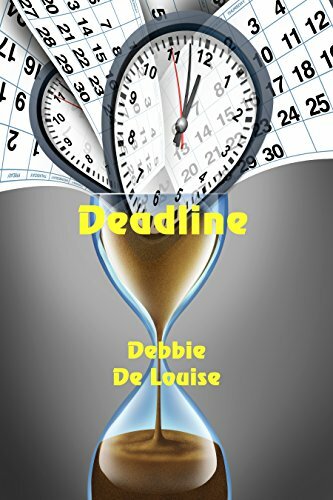 Time seems to shift and draw her into an imaginary deadline that would rival those of the stories she writes for the student paper. Unable to face horrible news that she can’t remember happening, she traces the events of the last few days. Discovering the awful truth of why these hours are a blank, she must meet a deadline that is truly deadly.